The iconic Leigh Hobbs character is back and, this time, he’s on a Vespa! 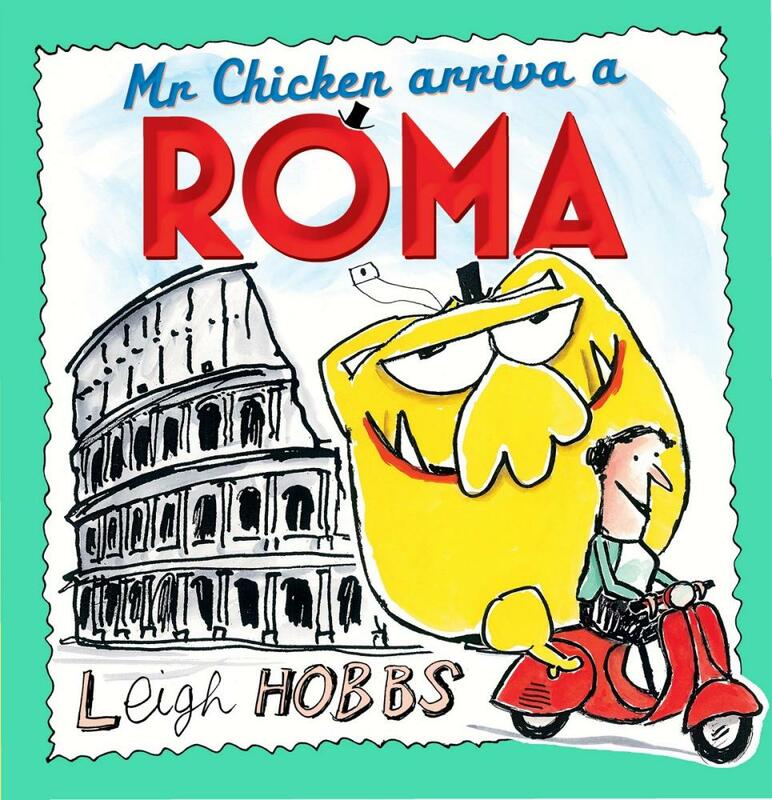 The story is full of all the humorous antics we’ve come to expect from Mr Chicken, who turns into a pasta twirling extraordinaire and takes a dip in the Trevi Fountain. He also falls asleep in front of a popular biting tourist attraction and thereby becomes the tourist attraction. There is even a salute to Roman history, and to Signor Pollo’s childhood dreams, with a very funny dream about a familiar-looking Julius Caesar and some Roman gladiators. Readers are treated to the colourful, entertaining endpapers we love about this series. There’s a list of useful Italian words, a Frequent Flyer card and an amusing compilation of selfies from his trip. 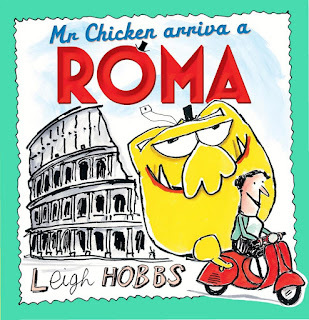 Amidst the whimsical illustrations of Mr Chicken on his travels are the most exquisite drawings of Rome I’ve ever seen. The detail in these sketches is divine. Is there anything this man cannot draw? !